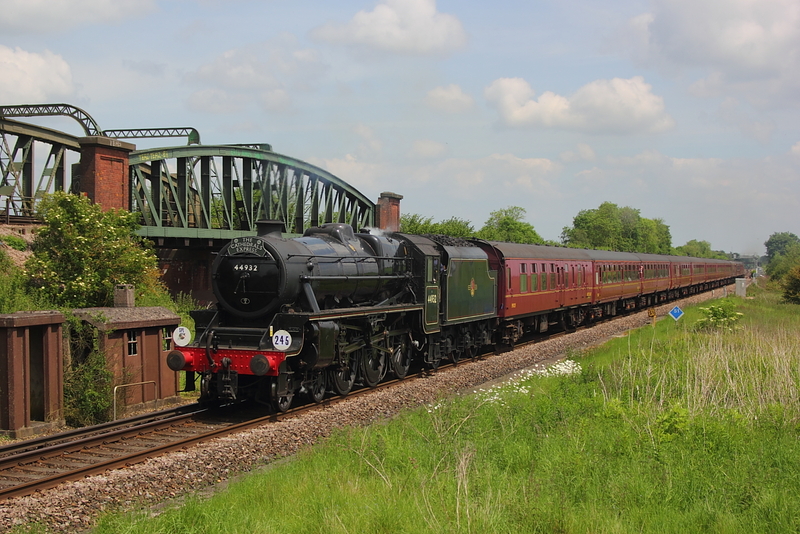 Black Five 45212 1Z82 08.43 London Victoria to Briostol Temple Meads. 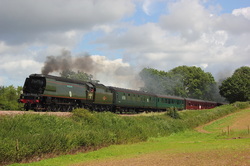 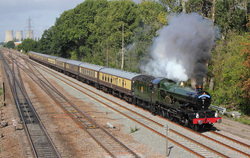 60163"Tornado" + support coach 5Z30 12.05 Stewarts Lane T&R.S.M.D. 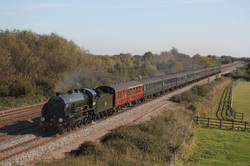 to St. Phillips Marsh T.M.D. A3 60103 passes the gallery at Burghfield Road in dire conditions working 1Z60 08.37 London Paddington to Salisbury ,Cathedrals Express. 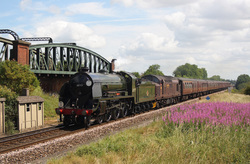 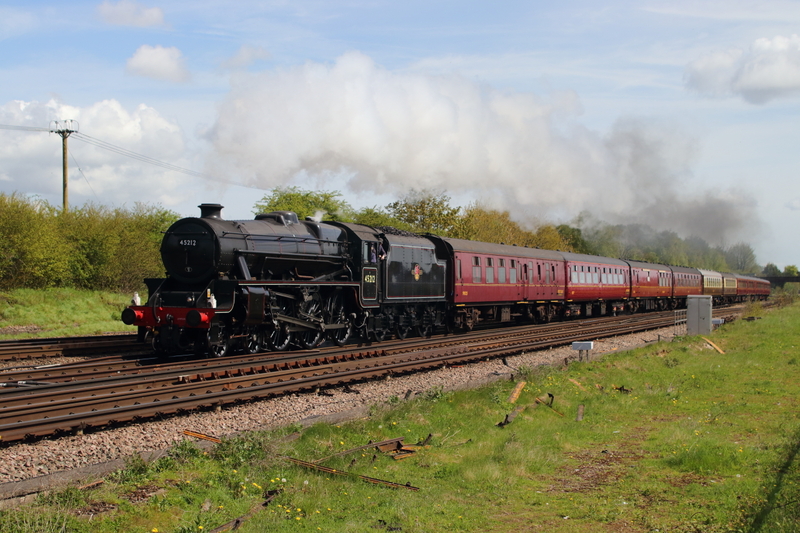 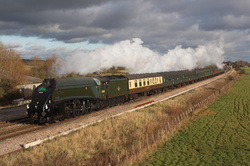 In connection with the 20th Anniversary celebrations at the Yeovil Railway Centre,Black 5,44932 passes Battledown on the Cathedrals Express,1Z89,09.34 London Victoria to Yeovil Jnct. 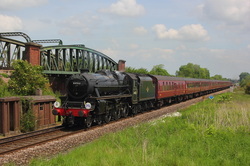 Down Main Platform. 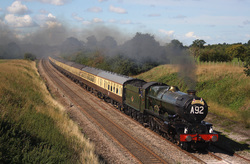 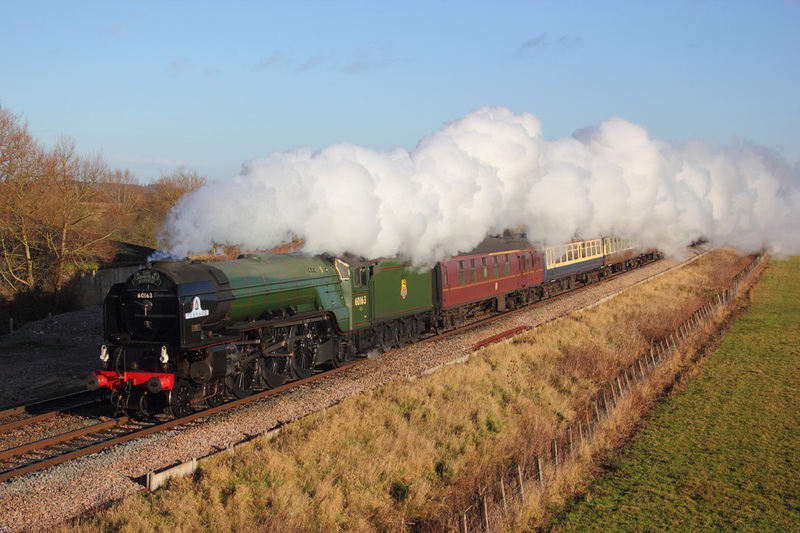 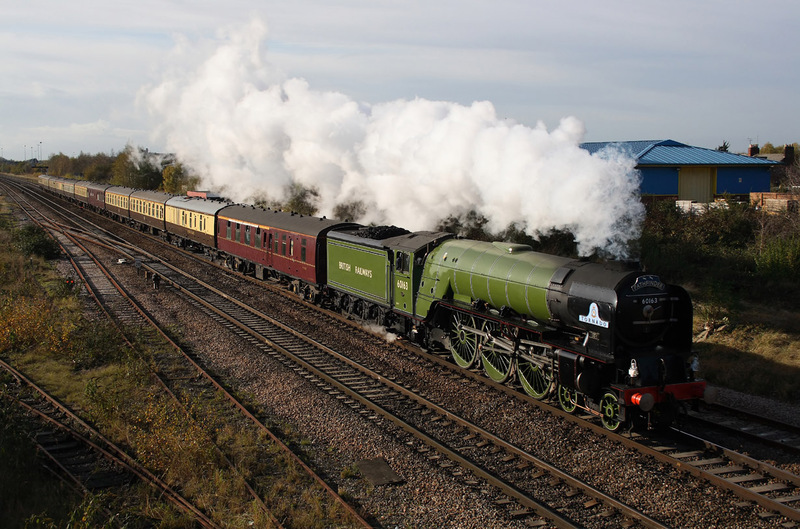 60163"Tornado" 1Z86..07.45 Ashford to Bristol Temple Meads,The Cathedrals Express. 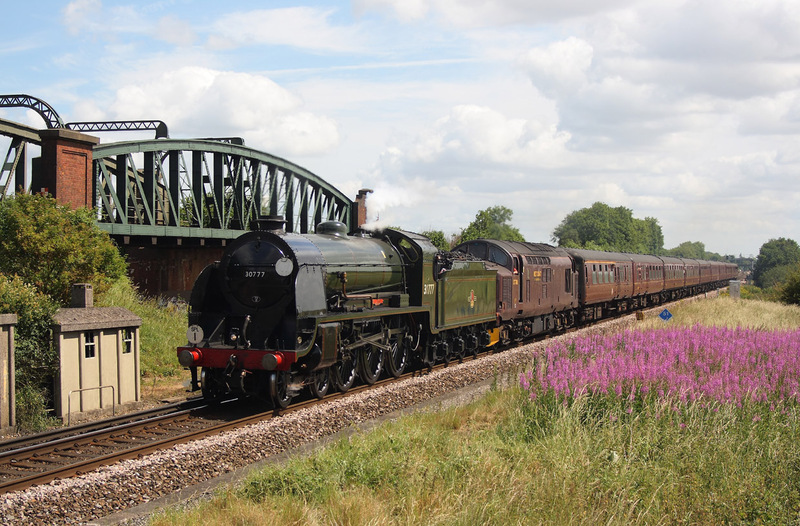 Passing the gallery at Didcot in a patch of sun is GWR 5043"Earl of Mount Edgecombe" on 1Z97..06.30 Tysley to London Paddington,Steam Dreams,The Cathedrals Express. 30777"Sir Lamiel"+37707..1Z86..08.45 London Victoria to Swanage,"The Swanage Belle"
6024"King Edward 1" 1Z29,09.34 Bristol to Paddington,"The Bristolian"
Did not have to try very hard to get ahead of "The Bristolian" tour after first seeing it pass at Compton Beauchamp,and ended up waiting for 6024"King Edward1" to pass here at Didcot on 1Z29,the 09.34 Bristol to Paddington,just before the cloud rolled in. 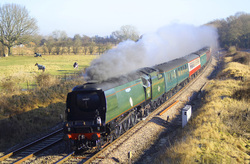 A4, 60019"Bittern" passes Shrivenham on 1Z85..08.54 London Victoria to Worcester,The Cathedrals Express. 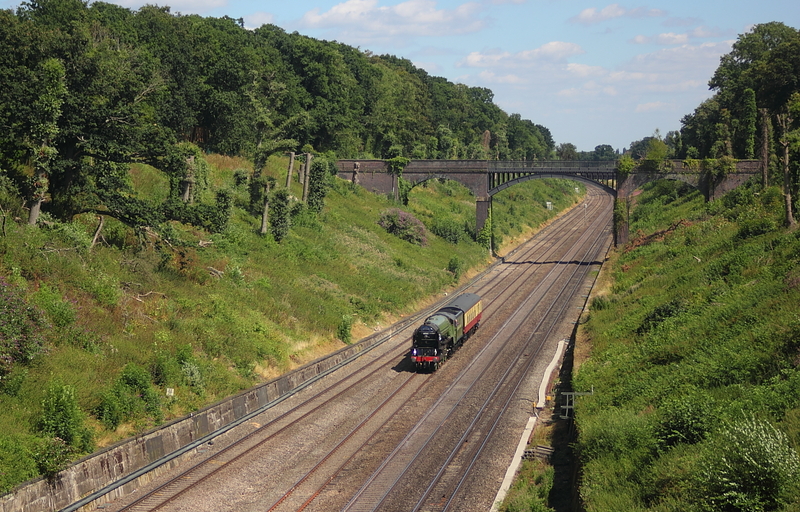 60163"Tornado"1Z28..11.43 Gloucester to London Victoria,"The Thames Tornado "railtour. 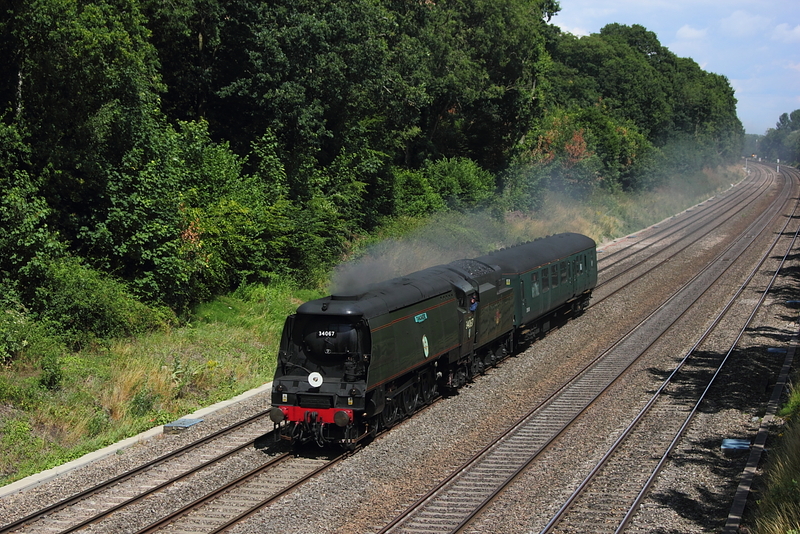 34067 "Tangmere"1Z27 Paddington to Yeovil Jnct. 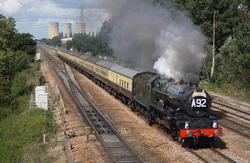 King Arthur Class,30777"Sir Lamiel"1Z82 Waterloo to Gloucester-the Cathedrals Express.